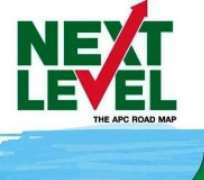 What is our democratic next level without the Electoral amendment bill? Those who have taken out time to read the amendment made to the electoral act would understand that anyone who is opposed to it does so to propel a personal interest as against ensuring we close the gap in our democratic deficiencies. Democracy is a developmental system that can be readjusted to meet with the ever-changing tides of time and technological advancement that the world adheres to in man’s continuous search for comfort and ease of doing things. At a time, every developed nation in the world operates under an effective democratic process or wants to seriously do such, it is alarming that any serious government would not embrace such apt-move to a bill of such importance into law. It is the responsibility of any reliable, effective and process-oriented government to give to her citizens, an easy, efficient, reliable and trustworthy voting process that is transparent enough. This process must, first of all, annul every means of illegalities in the electoral process and conform with transparency, hence the need for digital intervention in the electoral process by introducing the card reader and the other processes altogether. The introduction of subsection 5-8 vividly takes care of the fear among voters that some of the ad-hoc committees of the INEC are members of one political party yet by action or inactions they interfere in the electoral process through their membership. This has been taken care of in this section, so we as voters need not be scared of one Mr. A or Mrs. B who we all know belonged to Party A or Party B to interfere or work secretly for any party thereby manipulating the electoral process. This section of the electoral bill enhances the non-partisanship of the commission as it should rightly be for the sake of transparency and due democratic process which is our core right as citizens of Nigeria. The future of Nigeria and Nigerians should not be held to ransom on the choice of money hungry party leaders or political godfathers who don’t give due credence to true democracy. Section 49 like every other section was infused with subsection 1 and 2 which introduced the use of card reader. In this age and time, with our political boogaboo as the giant of Africa, we should go lead the continent in democratic advancements through technological advancement and the political will to take actions that are beneficial to the majority and influences our polity positively! Our electoral process should encounter technology and enhance our level of democratic transparency and responsibilities. It is imperative that we get progressive enough to better our electoral process simply because the future of our coming generations rely on the choice and actions we take today. We need not lag behind in the league of nations on the technology train and claim we are a leader in Africa, we should touch every of our process with technology, in fact, we should bury them in the sands of technology to stand on a foundation that enhances our opportunities as Nigerians within Nigeria. The overvoting process is a cankerworm in our electoral process that should be flushed out completely by eliminating the incidence form that gives credence to continuous accreditation of ineligible or underage voters. Section 53 has been a dilemma for quite a while; we’ve heard numerable cases of casted votes exceeding the number of registered voters. The amendment on section 63(4) has so far been the most controversial. Let me state an instance in a layman’s analogy. Do you recount your phone contacts when the system shows you have 200 contacts on your phone? Do you recount words in your Microsoft word office when the system says you’ve typed in 560 words? We just trust the system because we trust it by default. We shouldn’t contest with digitalization in this regard? The continuous rejection of the bill is a clear sign that although there is competent legislation to tackle our democratic deficiencies, because of the personal ambition of a select few, it is believed that we don’t have the right yet to credible electoral process. What then can be defined as our next level in democratic tenets if we do not sign the Electoral bill into law? Olawole Olakunle ‘MKO is the National Youth Caucus Leader of KOWA Party Nigeria. Disclaimer: "The views/contents expressed in this article are the sole responsibility of Olawole Olakunle ‘MKO and do not necessarily reflect those of The Nigerian Voice. The Nigerian Voice will not be responsible or liable for any inaccurate or incorrect statements contained in this article."